Method and process are important in project management, but knowing how to use them is even more so. As a project manager you can increase your effectiveness most by developing your soft skills, recognising that finesse can be more effective than force. Once developed, you will find that these skills are transferable across project types and whole industry sectors. This book illustrates the application of NLP to develop competencies - better equipping you to communicate across cultures, reframe problems, manage stakeholder groups, resolve conflicts, motivate teams and become an even better leader. To be effective, project managers must learn the language of the boardroom. Peter and this book will help you to do that. If all books placed as much importance on soft skills as this one then perhaps we might start to see a sea change in the way projects are managed. I recommend every project manager reads this book (in addition to PRINCE2!). This is one of the first books to apply soft skills to the normally precise and potentially stressful world of project management. As such it meets a great challenge because project managers more than most workers relate to a large number of different people for a pre-determined duration; these relationships then end, and a fresh set of relationships then needs to be built at the start of the next project. 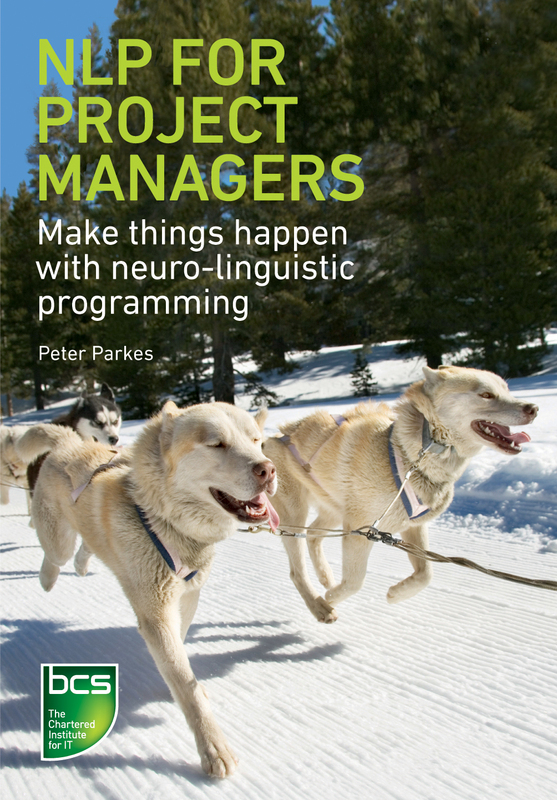 If like me you're one of those project managers that likes to keep abreast of new techniques but perhaps are slightly sceptical of the less than 'hard' skills that seem to come and go as fads, then Peter Parkes' latest book is for you.